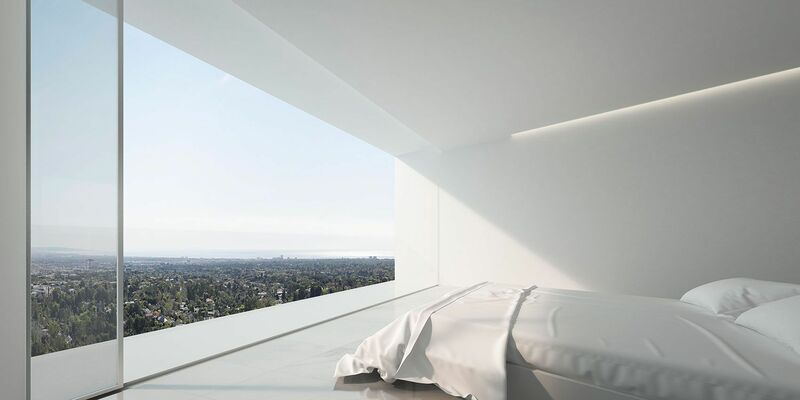 Placed on top of historic Hollywood Hills, the ones which draw Los Angeles profile where part of Case Study Houses program was built. 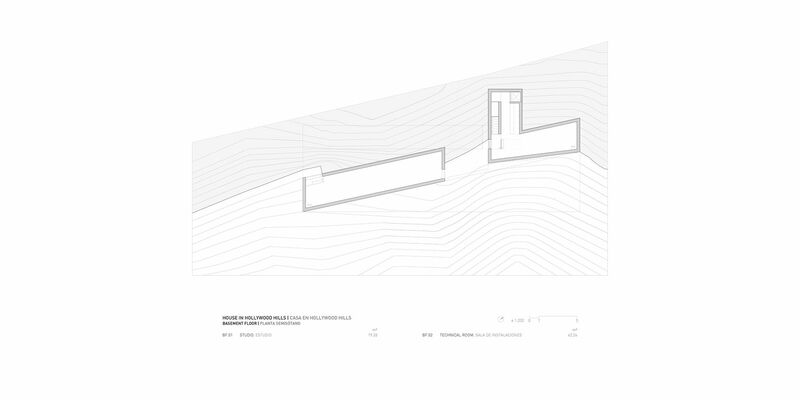 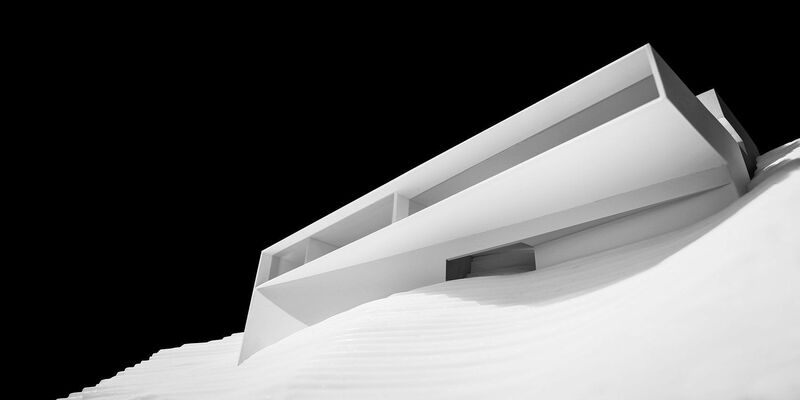 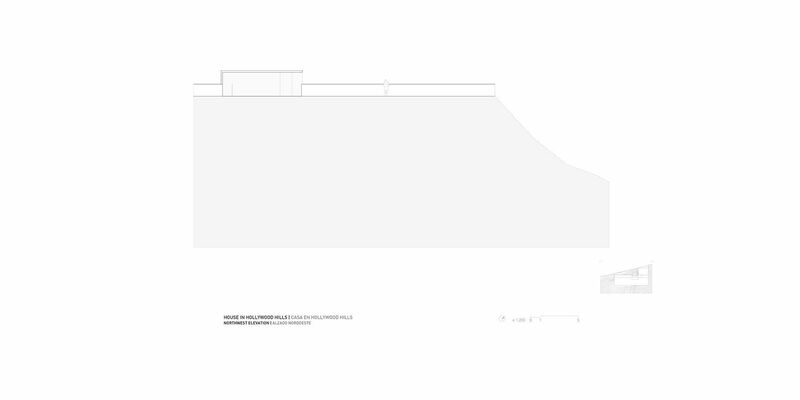 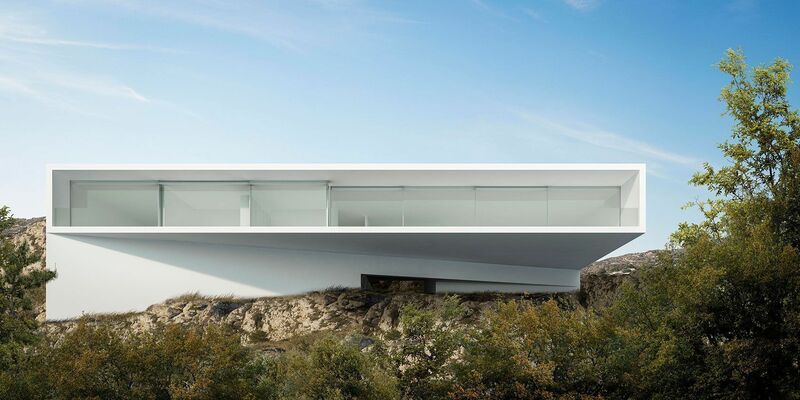 The project lays on the ground, adapting to its hard slope and conditions, carrying out a change of direction at house level in order to frame the horizon of the city till the ocean. 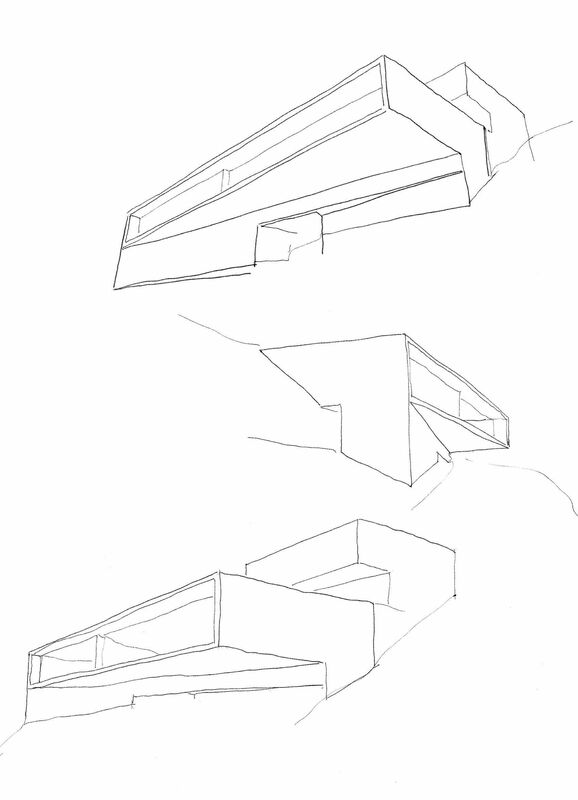 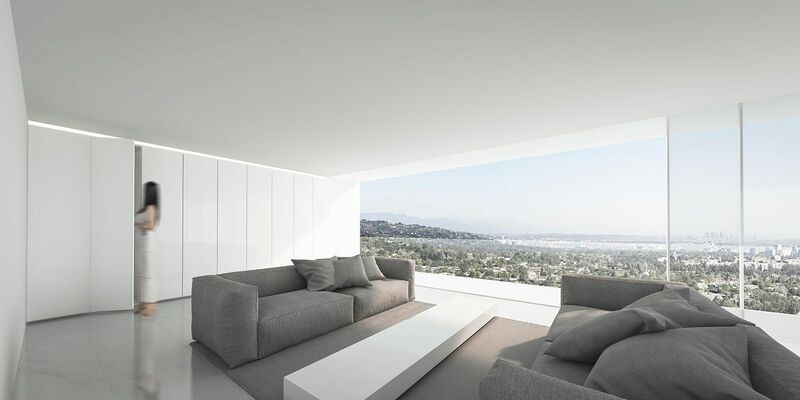 John’s view, who will live the home, was determinant for its design. 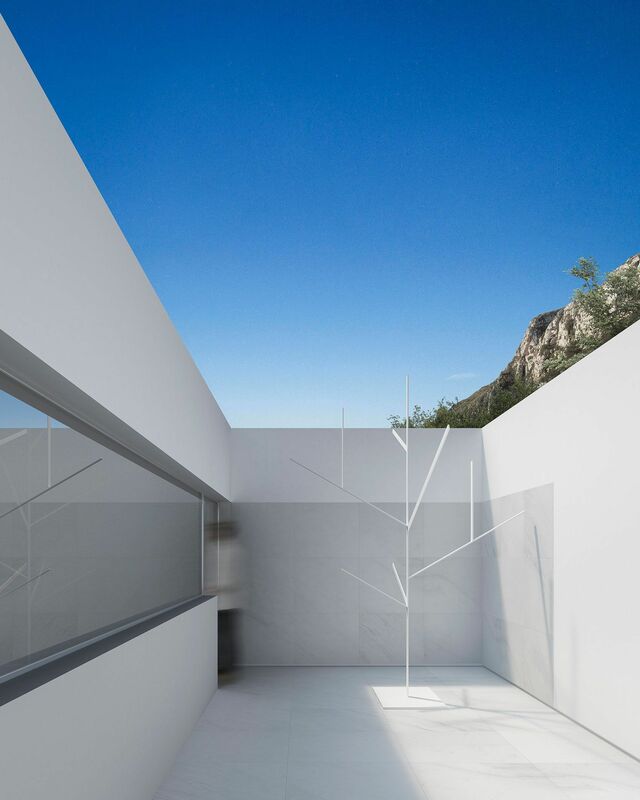 A monolythic piece, hanging from topography and opened to the distant landscape was what he imagined for this place. 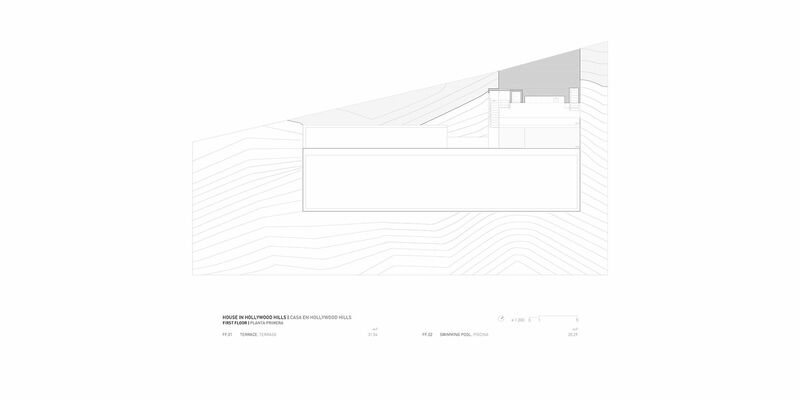 The access of the plot is at top of Haslam Terrace. 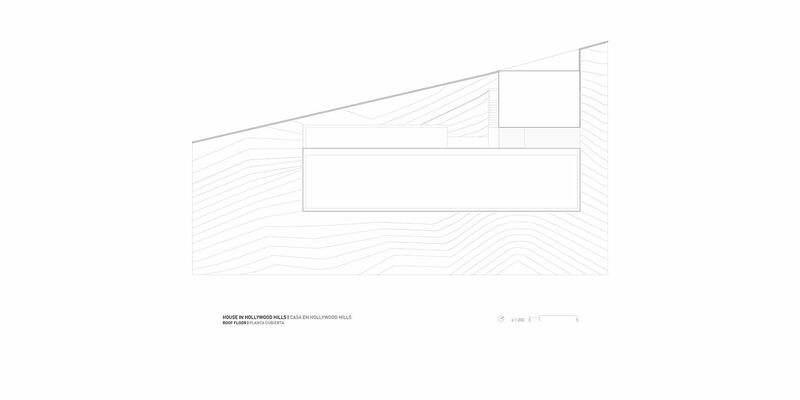 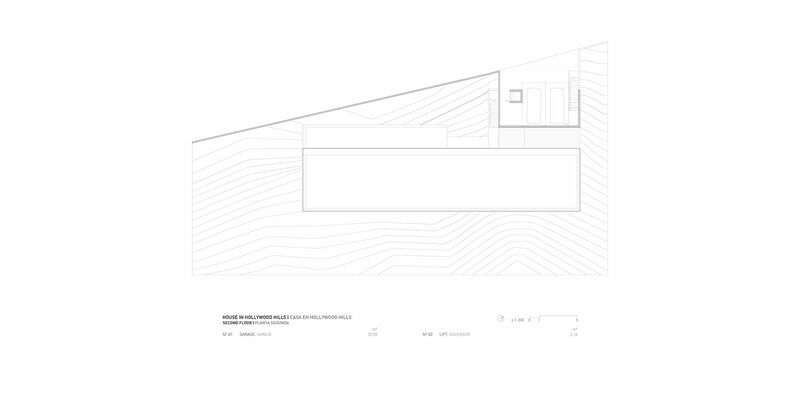 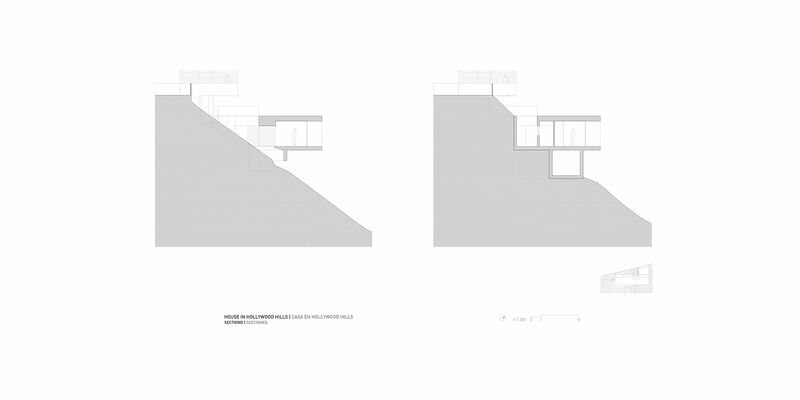 Home volume is two floors under street level, respecting the allowed heights. 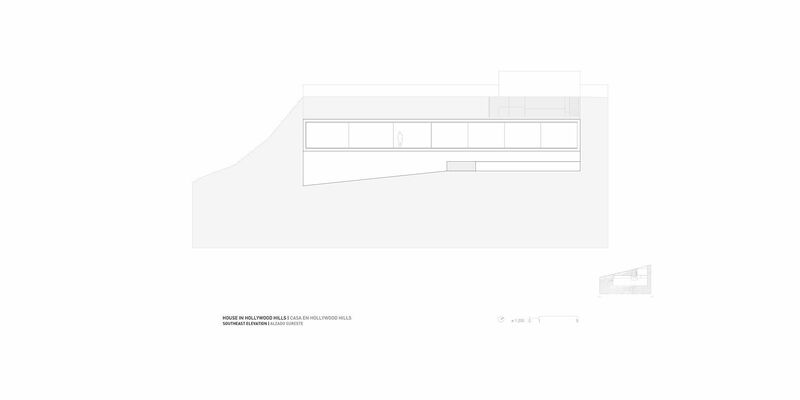 In the access it is placed the garage and comunications hub that leads to a medium level as a terrace over the landscape that contains the pool. 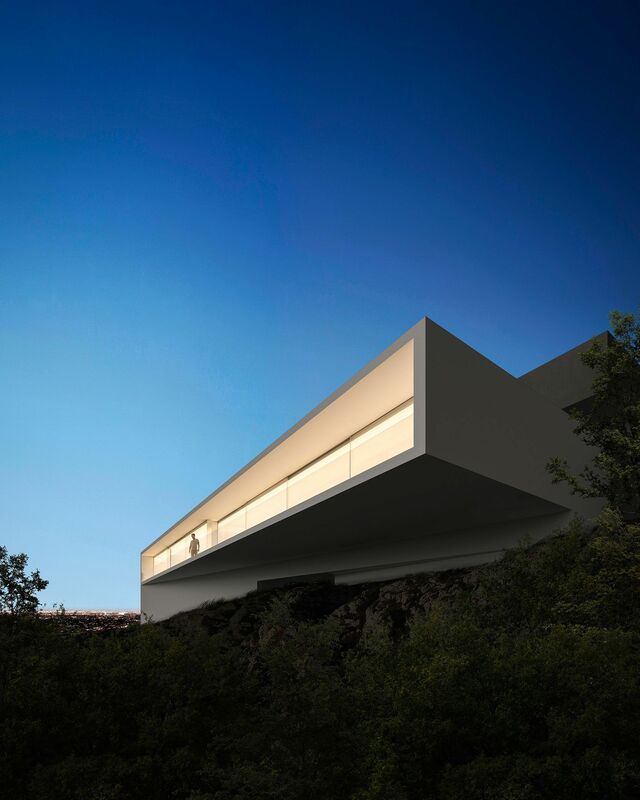 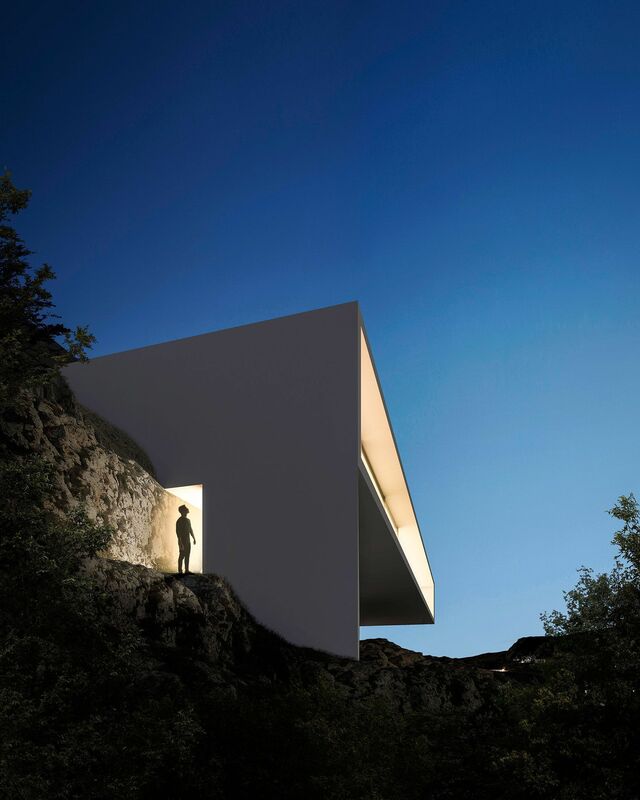 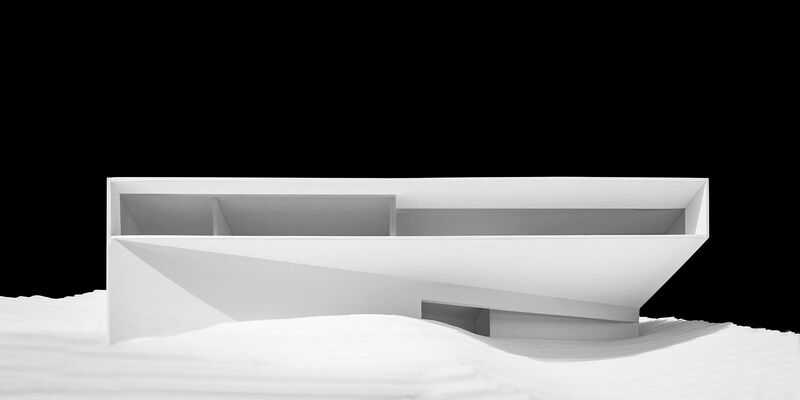 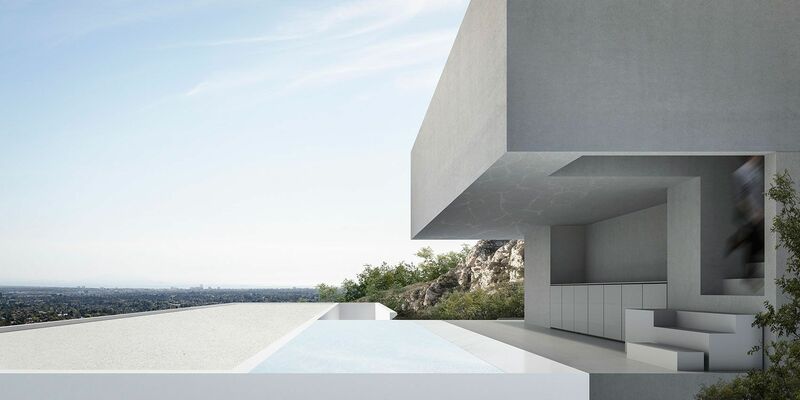 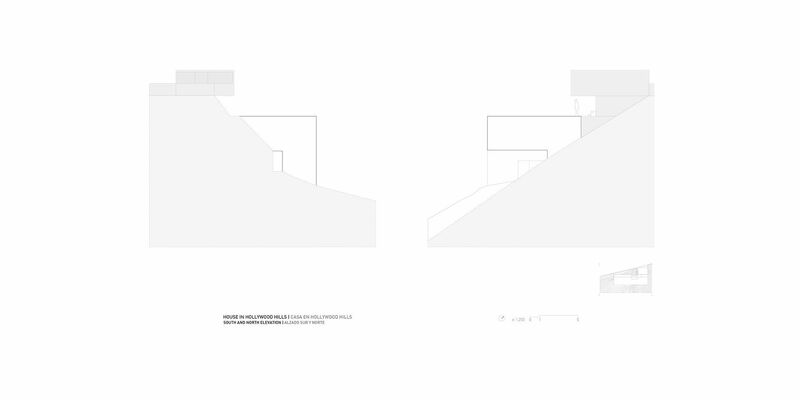 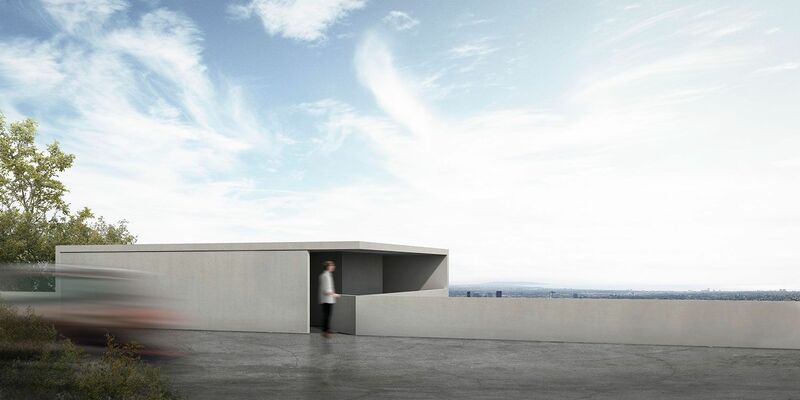 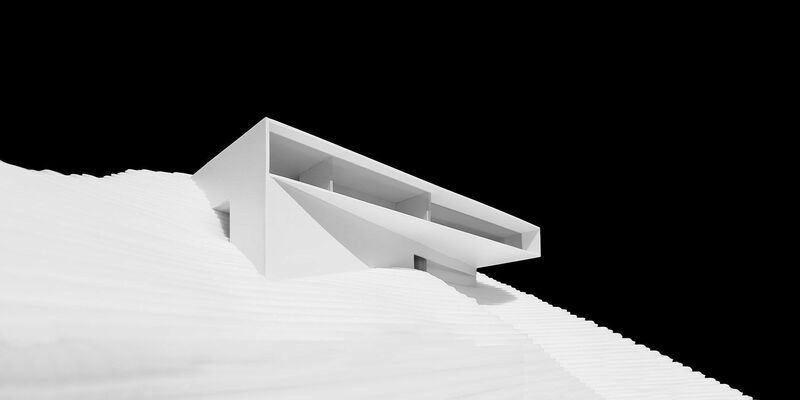 That two levels, access and terrace, are materialized with a grey stone that mimics with surroundings and entangles the volume that contains the home built on white plaster. 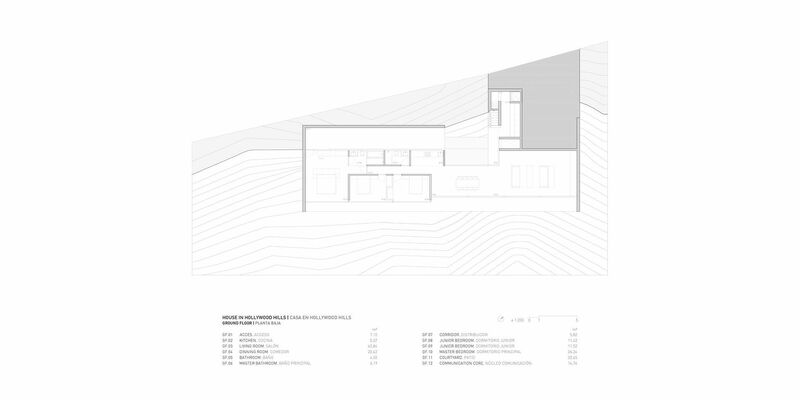 The main floor turns to be able to observe city of Los Angeles, two profiles on “L” shape and arranged inverted configure the mechanism that solves the structure and allows that all stays from home seek the desired views, in this way the home has an only window ninety-five feet in length, that looks at the city as if it was a device for catching the landscape, maybe as if it was a rear window.